I just booked my trip for Nov 2018! This will be my first trip there in over 7 years!! I know a lot has changed in that time, and I’m looking forward to finding out for myself. Of the “newer” changes and attractions what are your favorites or not-so-favorites? If you like less intense rollercoasters, 7 Dwarfs Mine Train is NOT to be missed. So Disney! But, unless you don't mind waiting in the standby queue for around an hour or more, definitely get a FastPass. Try, also, to get an FP for Talking Mickey in MK's Town Square Theater. He really does talk to you although with programmed phrases. It's pretty amazing with a little suspension of disbelief. You will be wowed by the changes in the MK, especially New Fantasyland. So many terrific new sights to see there. And what was Downtown Disney, now Disney Springs, has a bunch of wonderful new shops and restaurants. Are you planning to do Mickey's Very Merry Christmas Party since you're going in November? Definitely consider that, expensive though it is. It's great fun and so very Christmasy! With any luck, the mess in Hollywood Studios may be pretty much or all gone by your trip. Major changes coming there. You won't recognize the place. For try-and-GOOD-LUCK eats, consider Be Our Guest in MK. It is a spectacular immersive experience. Breakfast and lunch are QS, dinner TS, but all three require an Advance Dining Reservation, it's that crazy popular. Like CRT (Cinderella's Royal Table) was when you last were at WDW. HOW EXCITING you can finally return! You must be over the moon with joy. 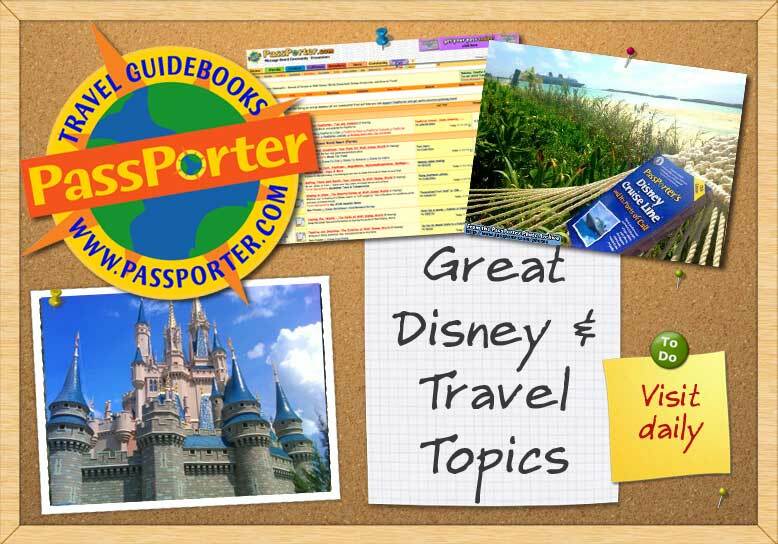 Have fun planning a magical trip! I agree with Dot, the new Fantasyland is a must-do! If going for BoG I highly recommend dinner as the other meals were just "meh" in our opinion. We love Under the Sea and 7DMT - favorite rides and must do's for us. Congrats on the trip!! I personally haven't gotten to see it up close yet, but when next I make it back to the "World" for park days, Pandora at AK is high on my list!!! I cannot wait to ride a Banshee! 7DMT is definitely worth a ride. It has an interactive ride queue once you get towards the front (that is completely bypassed by Fast Passes), so I didn't mind waiting. All of the new Fantasyland is pretty neat. I love the new queue at Dumbo as well, it's FANTASTIC for kids! Gaston's Tavern has a pretty good cinnamon roll. Be Our Guest, I think, is a must. I did it for lunch before all meals were ADR there, and I got in line at 10 am for the 10:30 opening! It's really cool inside, though dinner there is high on my "to-do" list. I think Toy Story Midway Mania in DHS might be new since you were last there as well. It's cute. My nephews loved it. Star Tours has been updated movie wise, but the ride is still much the same. Test Track in Epcot has been updated (I think, anybody? ), and Maelstrom is now Frozen Ever After which is also on my "to-do" list. I loved Rivers of Light when we were there in May. I also loved AK at night. We did the safari just after dusk, and it was good, but I think it would be ideal right before dusk. Hard to time, but I would try! Will have more to add on Pandora after a trip in 5 weeks! At MK I love Le Fou's brew at Gaston's Tavern, the cinnamon roll and the chocolate croissant. My dd and I are apparently the only ones who weren't impressed by Be Our Guest, so I would recommend only if you're a huge Beauty and the Beast fan. If they do the Frozen overlay while you're there, do NOT miss it! So glad a CM told us to make we saw the show where they turn the frozen lights on. I wouldn't miss the Frozen sing along at DHS. We've done it 3 times, and it's a hit with everyone we've been with. You will have such a good time! Agreed the BOG food isn't as good on the whole as I'd have thought. Some dishes are very good, others only if you're lucky. I'm not a huge Beauty & Beast fan myself, but nevertheless I think the decor is stunning and really echoes the movies. We eat there about once each trip simply for the atmosphere. I agree that BOG is a must-do, if you can get it, if for no other reason than the atmosphere. Pandora at AK, if you are into the Avatar movie - We liked Rivers of Light, but it isn't a major wow for us. "New Fantasyland," although it isn't really "new" anymore, but it will be to you - You'll adore it. In addition to the Mine Train coaster, we love Storytime with Belle. Guests play parts in the show, and while they choose mostly kids, they do need two adults, and my son has been chosen as a suit of armor several times. DIsney Springs used to be DTD 7 years ago, so you'll be shocked by the changes there. It hardly resembles the old DTD, and there are lots of new restaurants there. Congratulations on the trip! Have fun planning! Yeah I’m looking forward to seeing the new Fantasyland and 7DMT. Also, the new Soarin, though I’ve heard the distortion can be bad on the ends. DHS has never been my favorite so probably won’t spend much time there. Be Our Guest does sound fabulous! Pandora is kind of meh during the day, very pretty at night. The River ride was boring to me and I can't handle vitual reality rides (think Harry Potter at Universal) so my kids said no to me on that one (they did not want the clean-up). Anyway just my grumpy opinion since I didn't like the movie either.